Here is a layering of hillshade hand-painted by Herwig G. Schutzler in 1965 with NASA imagery. 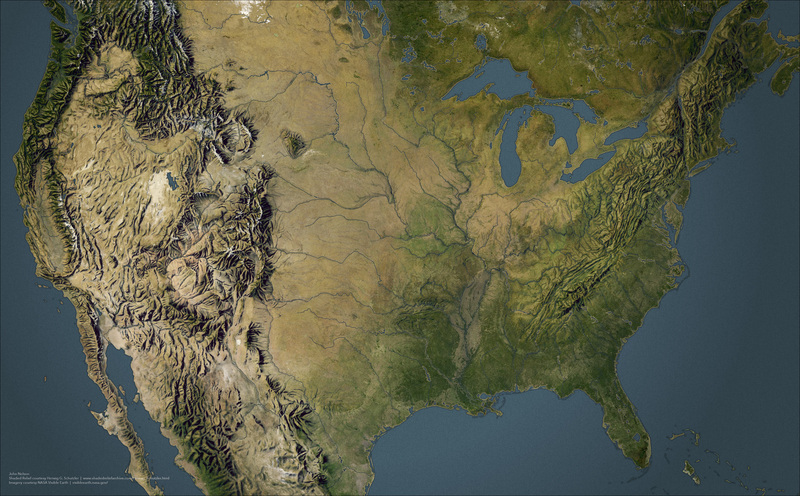 How is it that I’ve gone this long without playing with the beautiful vintage hand-painted shaded relief of yesteryear’s cartographers, generously made available by Tom Patterson? Inspired by a tweet from Greg Fiske, I decided it was time to shelve the algorithms for a while and fall into the richly airbrushed relief shading of some amazing cartographers of the past. Isn’t that fun?? Thanks Tom for the excellent resource, connecting cartographers across the generations. Here is a quick how-to (including the source project with all the data and styles). P.S. 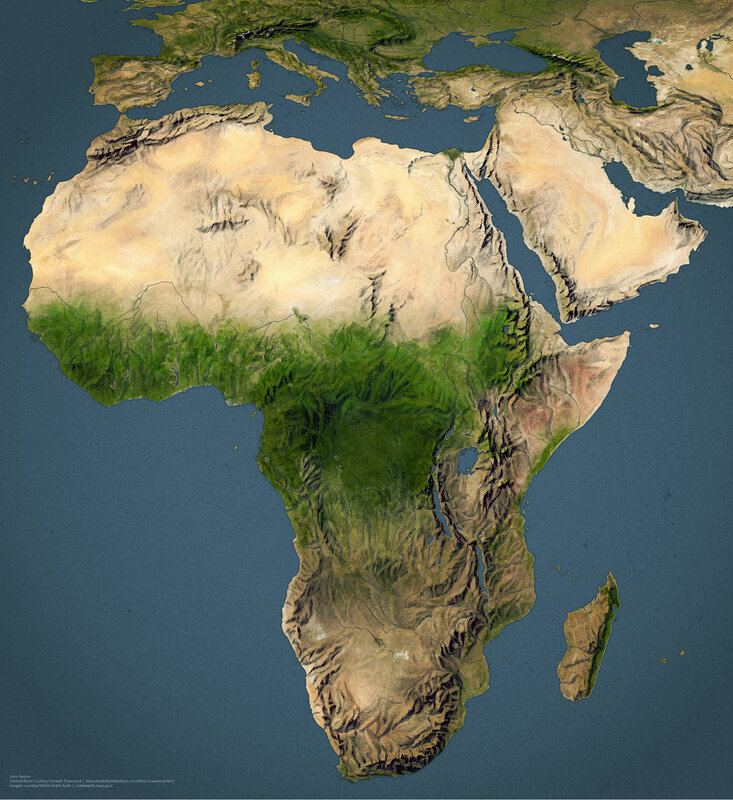 Here’s Africa, with hillshade painted by Kenneth Townsend (date unknown). 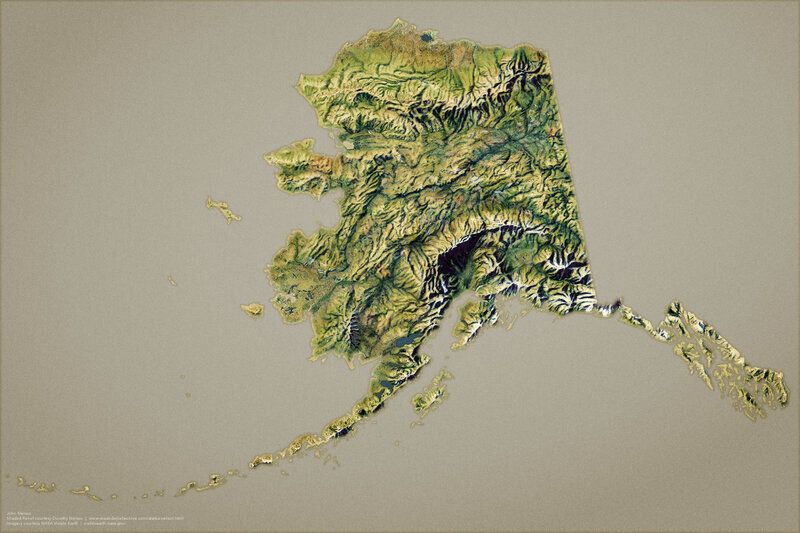 And Alaska, with hillshade painted by Dorothy Nelson (date unknown).